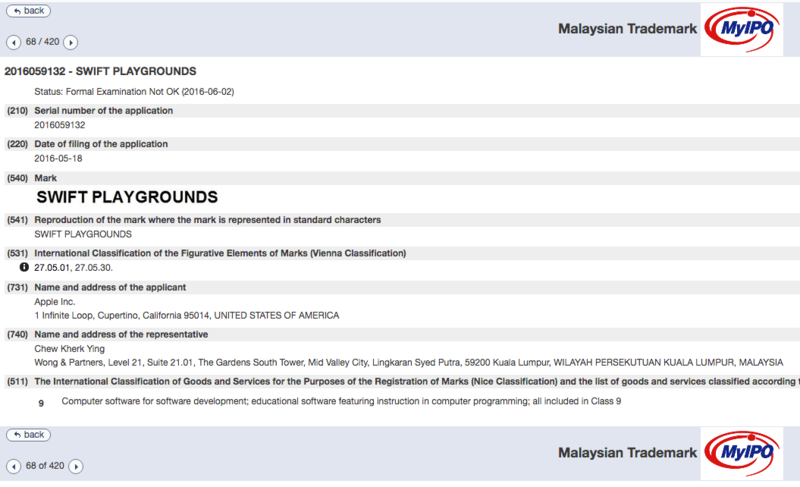 All apparently (see below) filed by Apple, in Brunei. 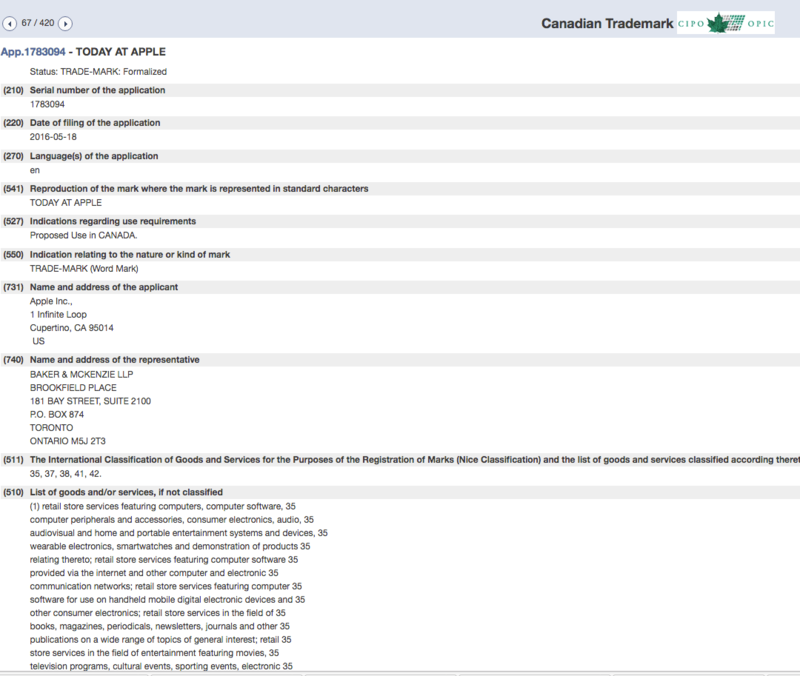 Unlike my other post about Apple Trademark Applications, I haven’t verified these applications. 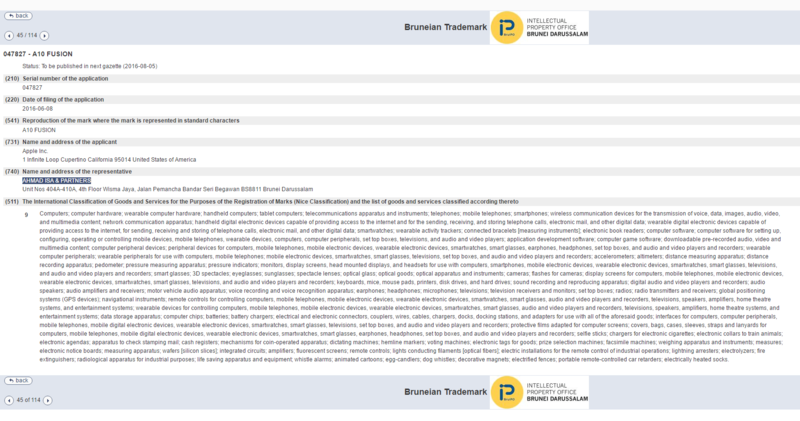 See HERE for a post about the computer game “Fallout” which illustrates the point. 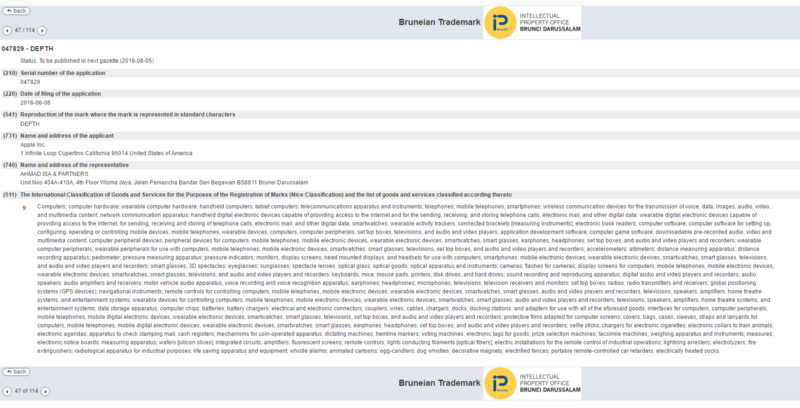 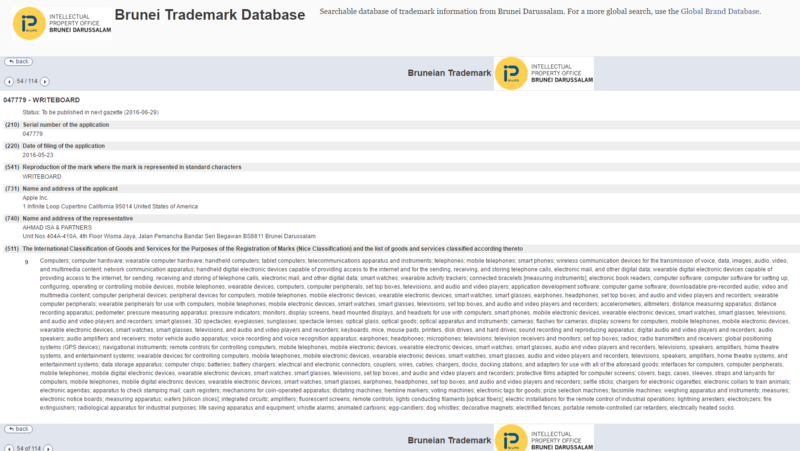 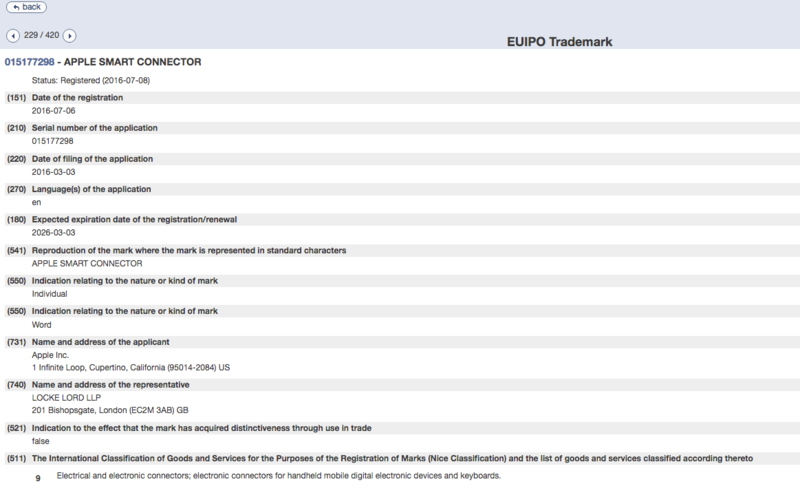 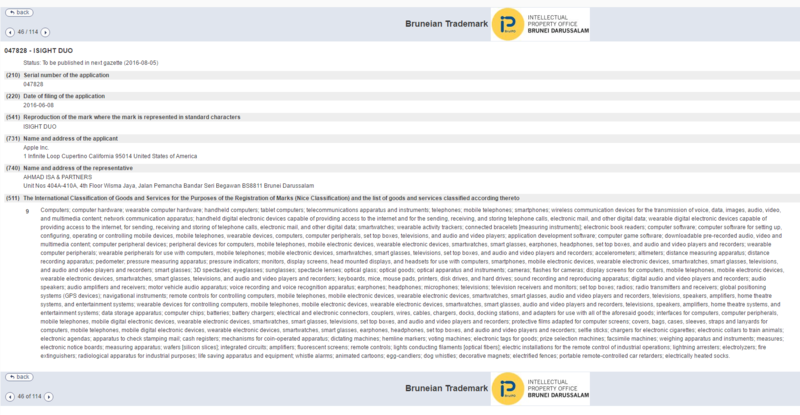 I’ve no idea how easy or otherwise it is to make a fake trademark application in Brunei, but the fact the applications are in Apple’s name and that are purportedly filed by local legal representatives certainly lends some legitimacy to them being real and genuine. 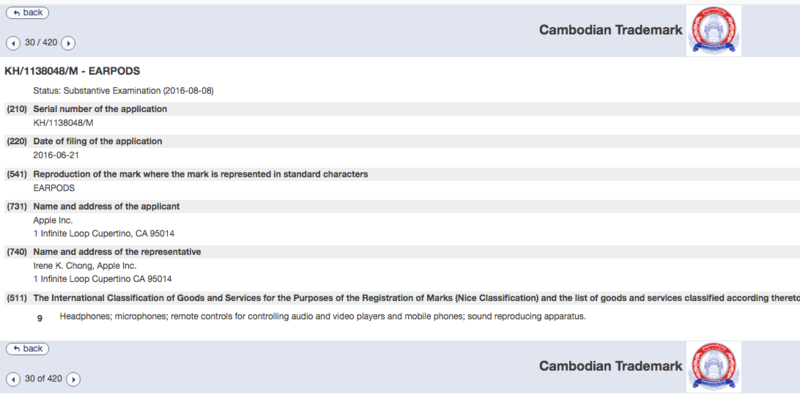 You now know as much about these applications as I do, so you’ll have to make your own mind up as to whether they are the real deal or not.